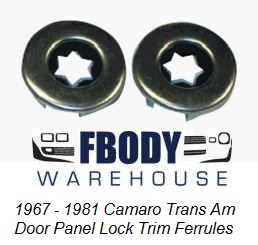 This is a set of 2 door panel lock trim ring ferrules for 1970-1981 camaro and trans am. 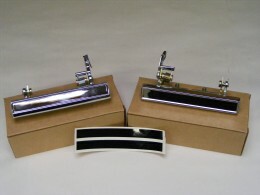 This is a set of 2 door panel lock trim ring ferrules for 1967-1981 Camaro and Trans am. They have the stems at the base to bend and lock them into place. 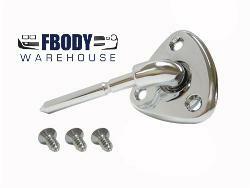 They feature the inner felt trim to make your lock stem fit snugly in place. WORLDWIDE SHIPPING AVAILABLE USE THE DROP DOWN MENU TO SELECT SHIPPING LOCATIONS.